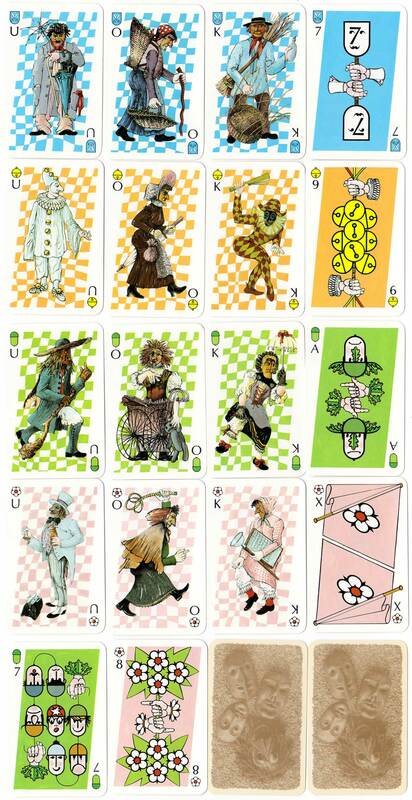 The Krienser Fasnachts-Jass deck was designed and published by Léon Schnyder from Kriens for the 1988 Fasnacht Carnival and titled “Krienser Fasnacht-Jass” or “Chreinser Böögge-Albóm” in the local dialect. The Aces and numeral cards are double ended and have non-standard arrangements for the pip signs. The courts are single-ended and show characters from the carnival against chequered backgrounds. Those from the suit of shields are dressed as farming people whilst the other suits show different carnival characters. 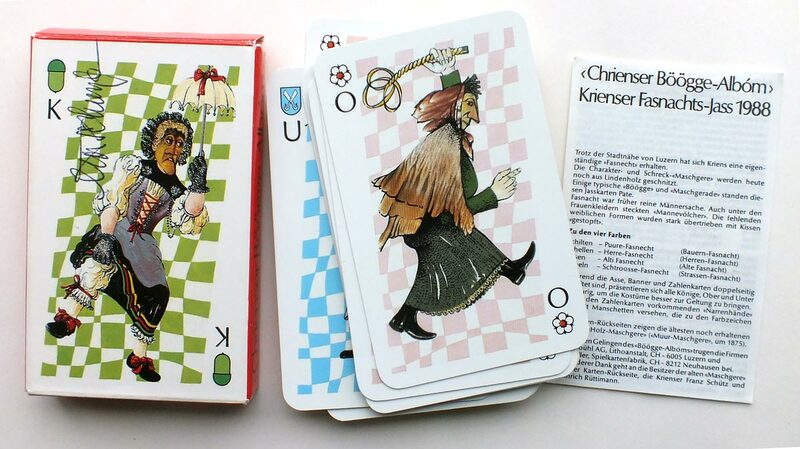 Above: Krienser Fasnachts-Jass playing cards with Swiss suit symbols, designed by Léon Schnyder and printed by AG Müller, 1988. 36 cards in box + leaflet.